On the floor, the speech brought catharsis. It was all the things that Democrats wished themselves to be but no longer felt they were as a party. It was bold, in its willingness to take on a popular President directly; it was unapologetic, stating its beliefs clearly and without equivocation; it drew its indignation from some inner store of strength and conviction, not from mere calculation. Go read it. Called “Religious Belief and Public Morality: A Catholic Governor’s Perspective,” it was learned and even profound here and there, and it was honest in a way I don’t think any politician would dare to be today. The seedlings of his potential greatness as a leader are sprinkled throughout it. He could have been the inheritor of what Bobby Kennedy was becoming when he was assassinated—the kind of pol who, through a combination of intellect and street sense, had that cross-racial demotic touch that too few liberals have. His track record as governor didn’t give us reason to think he’d have been a great president, but then, neither had Franklin Roosevelt’s; maybe the power would have made him more resolute. But he was too ambivalent to seek that power. I know he was a big reader of Augustine, and it’s been many years for me since I cracked The Confessions, but I seem to recall something about the centrality of self-doubt. It was always sure central with him. I’m not saying he was a tender little flower. He did become governor, after all, in one of roughest-and-tumblest political environments in the country, and he lasted three terms. But self-doubt, while a healthy quality for human beings to have, is alas not a plus for politicians. (His son appears to have learned this lesson in spades.) Maybe that’s always what Cuomo wanted deep down: to be a good public citizen first and good politician only second. Would that more of them were like that. Among politicians of the past generation-plus seen as national-level contenders, he was the most accomplished and engrossing public thinker. (This is also Obama’s strength, and presumably he will overtake Cuomo through the scale of the issues he has been involved in.) Most public officials know, or fear, that they need to buff away the complicated or challenging parts of their views before presenting them in public. That’s assuming they ever had, or kept, such thoughts. 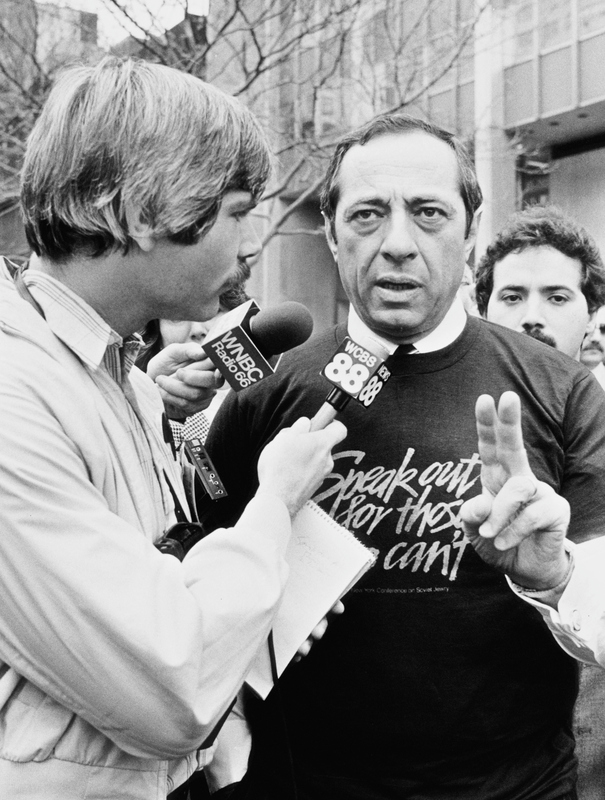 Mario Cuomo was notable in trying always to talk up to his audience, not down. You see that especially in his Notre Dame speech [on church-state]. It’s an example worth reflecting upon. Rhetorical success, like presidential effectiveness, involves more separate elements than you might think. It helps to have a good voice and physical bearing; to have actor- or announcer-type skill in presentation; to have an ear for sentence-by-sentence euphony; and to understand the intellectual and emotional shape of speech. Mario Cuomo had all of these, and our public life was richer when he was an active part of it. People would come up to him after the meetings and say, “I’m still not sure I agree with you on the death penalty, but I certainly respect your position.” In the end, they decided to vote for him. They voted for him because Mario Cuomo was a man to respect, a man who respected them well enough to tell them what they didn’t want to hear. History will not record that he was a great governor. His budgets were almost always late. His reflectiveness and reclusiveness did not dazzle legislative leaders. And his flight from San Francisco [after his 1984 convention speech], like his choice not to run for President in 1992, may have indicated a reticence that would not have served him well as President. Or maybe it camouflaged insecurity that was both disabling and wonderfully human. Unlike most politicians, who have no interior lives, he was worthy of a novel. Cuomo was a giant of the 1980s, in some sense the truest leader of the opposition. It would have been natural to imagine then that when the pendulum swung back to the Democratic Party, Cuomo and his policies would be elevated. Instead came Bill Clinton, who ran against his own party’s left and promised something new, something a little more respectful of Ronald Reagan than you would have expected, and something divorced from the party whose hero Cuomo had been. Clinton would have run against Cuomo, of course, had Cuomo run. But Cuomo’s son went to work for Clinton, and Andrew Cuomo — sworn in for his own second term in Albany the day his father died — has governed like a man who learned from his father what not to do. Andrew is an expert in the raw and unapologetic use of power, and a master of triangulation. The bigger question was whether Cuomo and his brand of progressive politics would have succeeded in a general election. CBS played the clip from Cuomo’s 1984 speech, but that misses the context and the aftermath. The context was a double-dip recession that had created a high unemployment rate early in Reagan’s first term, but the economy had turned the corner months earlier. The roaring economy would create the greatest post-war expansion in American history and set the stage for a quarter-century of low unemployment and solid growth. Walter Mondale offered a slightly more moderate version of Cuomo’s progressivism … and lost 49 states in the election a few months after that convention speech, even before the economic turnaround had occurred. Mondale’s experience had to have served as a cautionary tale to Cuomo. The results of the 1984 election exposed just how marginal his and Mondale’s politics actually were with the American people. His reticence turned out to be correct; Massachusetts governor Michael Dukakis lost 40 states to George H. W. Bush. Bush successfully painted Dukakis as an out-of-touch Northeastern liberal — a charge that would have stuck even more to Cuomo. He was an unreconstructed liberal who was able to push through bad policies on the strength of his oratory and put-downs. I was in Buffalo to attend SUNY for grad school and a number of the profs there (all Democrats of course) loved that Cuomo had pushed to keep tuition constant for years and years. At the same time, they didn’t understand why more and more wealthy kids were filling the classes (duh, it was a great education at a huge discount) and why there was less money coming into the school. A serious governor would have allowed tuition to rise to market value and then used the extra dough to help the people who really needed it. Instead, Cuomo helped beggar the whole system while giving a nearly free college education to middle and upper class New Yorkers. The unworkability of his policies is precisely the reason why Cuomo became one the last of the unreconstructed liberals to hold a high place on the national political stage. For all his gifts in talking and fighting for his point of view, his policies in general didn’t work very well. And when he had the opportunity to punch up to the next weight class, he refused to leave his corner. Yet the huge majority of Italian-American voters, like the huge majority of Irish Americans, Polish Americans, and all the other white ethnic groups who once rallied to Roosevelt and Kennedy have now deserted Roosevelt’s and Kennedy’s party—not to return unless they have earned a college degree and gained comfortable professional work. Next Next post: How Dangerous Is NYC These Days?